The new Annapolis Junction iHub is also designed as a research, learning and collaboration space for Booz Allen's national cyber teams. WASHINGTON — McLean, Virginia-based government cybersecurity consultant Booz Allen Hamilton has opened an Innovation Hub in Annapolis Junction, Maryland, which will serve as the headquarters for its Dark Labs team. Dark Labs is an elite team of security researchers, penetration testers, reverse engineers and data scientists who spend their time hacking to find system vulnerabilities and fixing them. The new Annapolis Junction iHub is also designed as a research, learning and collaboration space for Booz Allen’s national cyber teams. It has similar innovation hubs in D.C., Austin, Texas, Boston, San Francisco and Seattle. “This location will accelerate innovation, giving employees an opportunity to work hand-in-hand with our clients and partners, while also providing a place for exploration and imagination. 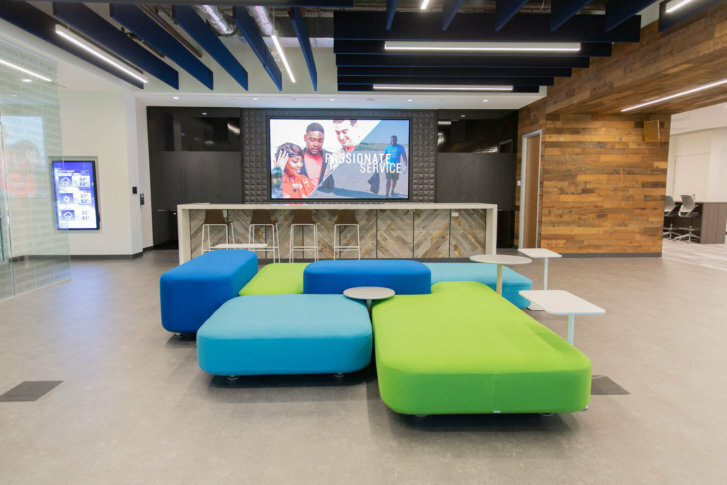 It’s a high-performance space for people working on a special mission,” said James Allen, executive vice president at Booz Allen. The 15,000-square-foot space is on the first floor of Booz Allen’s 304 Sentinel Drive office in Annapolis Junction. Booz Allen is on Computerworld’s 2018 list of 100 Best Places to Work in IT, one of 11 D.C.-area companies to make the list.